Who doesn’t love the combination of fruit and yogurt for a quick and healthy breakfast or snack? Well, with these fruit skewers, we’ve taken this popular combination and brought it up a few notches. By mixing 100% grape juice with our Vanilla Bean Lowfat Greek Yogurt, we’ve created a delicious grape-vanilla dip that is just perfect for dipping a variety of fruits into. Try it and then share the recipe with friends and family on Facebook, Pinterest, Instagram, and Twitter. To make 4 servings, gather the ingredients listed below. Whisk together the Greek yogurt and grape juice until smooth. 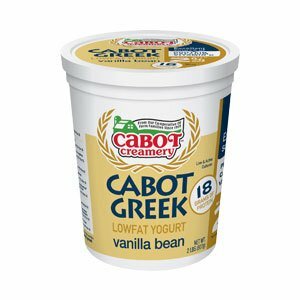 If you’d like an extra protein boost, feel free to add ½ scoop of Cabot Whey Protein Powder per 1 cup of yogurt. Once thoroughly whisked together, cover and chill until ready to serve. Toss banana slices in lemon juice to prevent browning, then drain the juice. Thread banana slices, stemmed strawberries, and pineapple cubes alternately onto skewers and serve with chilled yogurt dip. Graham crackers are a delicious accompaniment as well! Looking for more healthy and easy-to-prepare fruit snacks or appetizers? Make this delicious Healthy Fruit Dip and serve with sliced apples or pears. Cabot is a co-operative of over 800 farm families who continuously strive to produce the best dairy products around. If you enjoy these fruit skewers, we’d really appreciate it if you could rate and review it! WHISK together yogurt and grape juice until smooth. Cover and chill until ready to serve. TOSS banana slices in lemon juice to prevent browning; drain. THREAD banana slices, strawberries and pineapple cubes alternately onto skewers. 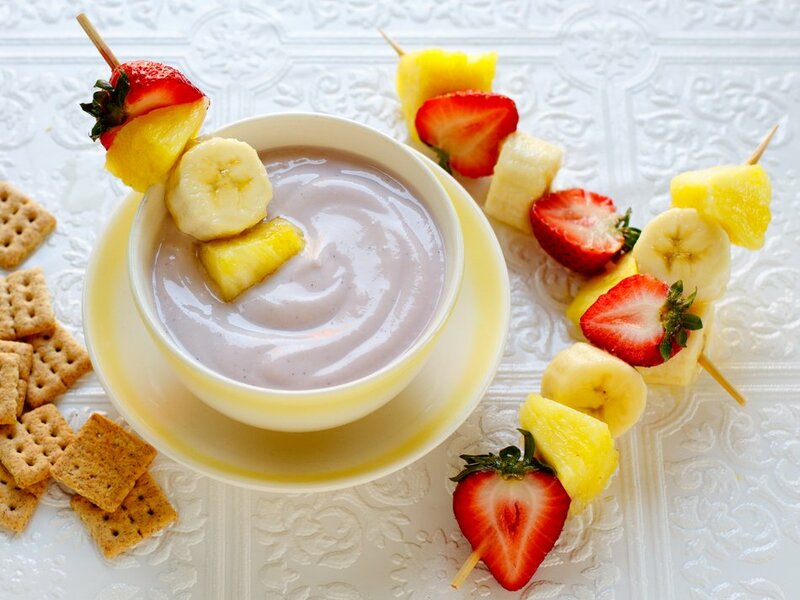 Serve fruit skewers with chilled yogurt dip and if desired, graham crackers. 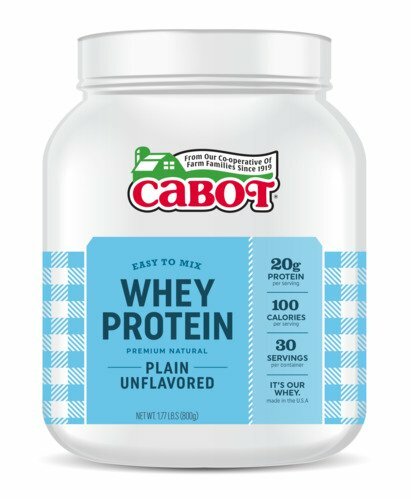 TIP: For an extra protein boost, add ½ scoop of Cabot Whey Protein Powder per 1 cup of yogurt. Easy, healthy and delicious snack for a nice summer day, enjoyed with the kids while romping outside...thanks Cabot!